JUDY BLOUSE is cut in an oversized and long shape silhouette made from fine cotton. 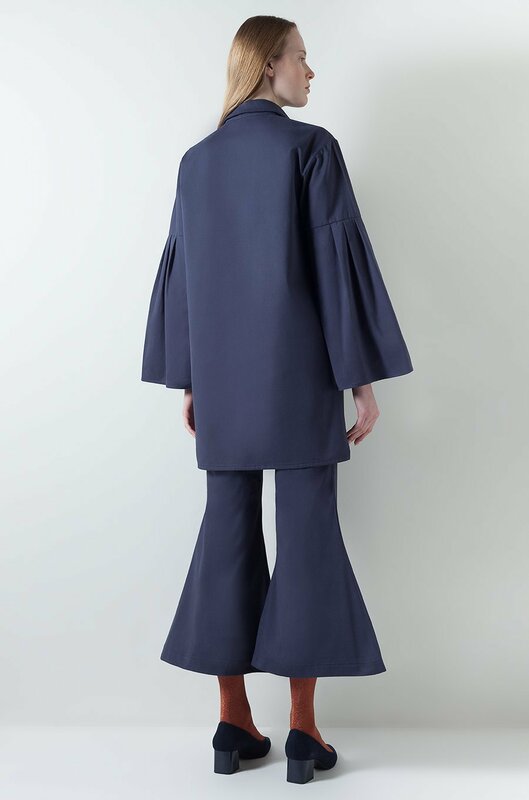 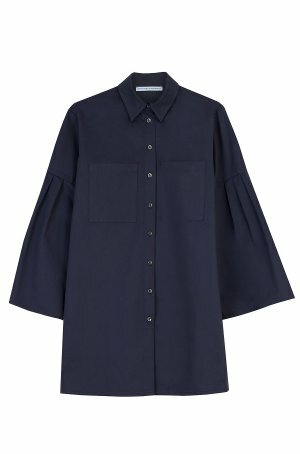 This piece has oversized pleated sleeves. 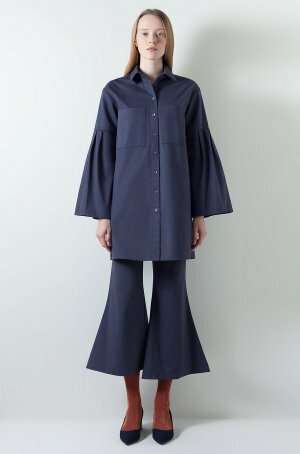 Coordinate it with JUDY PANTS for a total aoutfit.